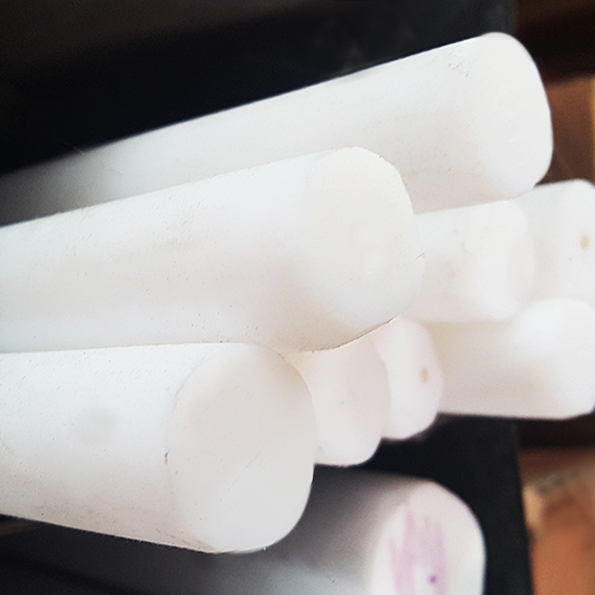 PTFE Sheet, PTFE Rods, PTFE Cylinders and PTFE Tube is resistant to practically every chemical known to man and has a surface as slippery as ice on ice to which no substance will adhere. 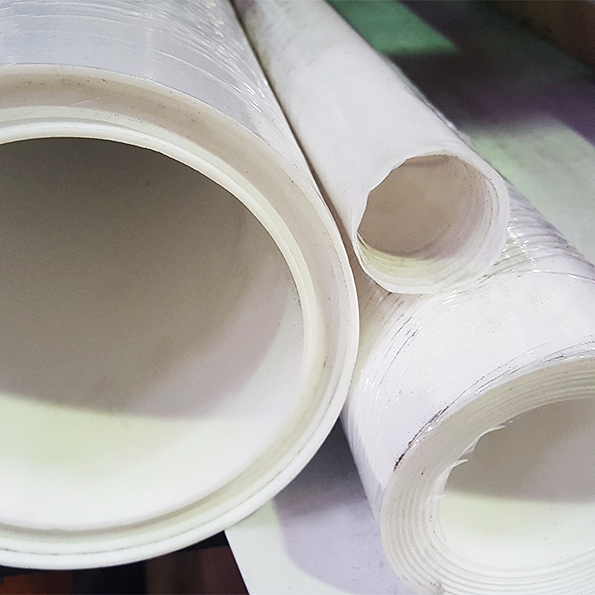 PTFE will operate continuously at 260°C in harsh conditions for long periods. It will not degrade when exposed to long term sunlight. 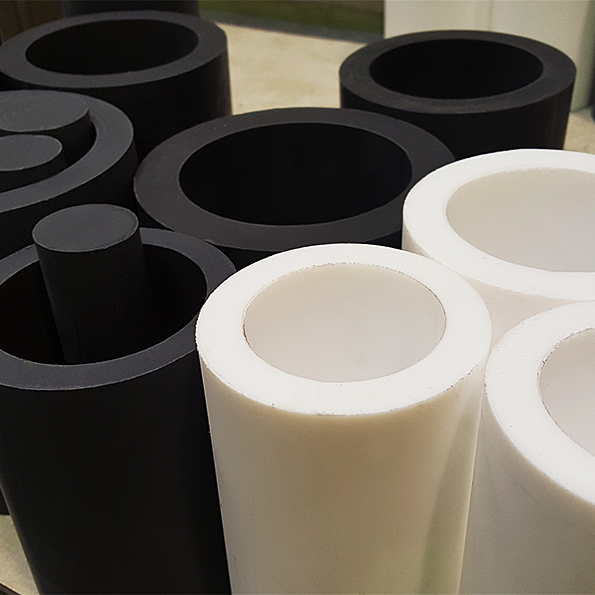 Alloys and Fillers – As the need for more demanding uses emerge, PTFE can be customised by the addition of fillers to create PTFE compounds with enhanced physical properties to suit particular mechanical applications outside the scope of virgin PTFE.